The ultimate Summer White Wine for 2019! 97 Points and just $12.99 per bottle when you buy by the case! This is a big time deal for everyone on this list looking for a new summer white wine to buy by the case! Our normal sale price here is $14.99 but for today only, we are offering it out for just $12.99 per bottle on sale on all orders of 12+ bottles with the code GF17! Made from grapes that are dried after harvest, the aromatics on this wine burst from the glass. Rich and vibrant, with enough complexity to thrill white and red wine lovers alike, this is a wine that is sure to have a ton of fans after the first sip! Our wine team flipped for this a few months back ... and now ... it has finally arrived! This was a big time highlight from earlier this year when our wine team was reviewing new wines to bring in this year. 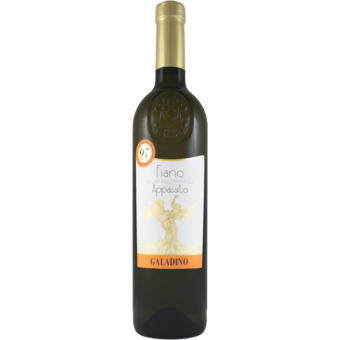 Made from 100% Fiano, this ultra rich white delivers elegant aromas of fruit and almonds, citrus and tropical notes. It's fresh and easy drinking with a long finish. Hand harvested, the fruit in this wine undergoes a drying process at controlled humidity and temperature which causes the grapes to lose weight and enhance the sugar level and overall aromas. This is a great match for a variety of dishes, but specifically for shellfish, light sauces and fresh cheeses. That's right! Today only, in addition to the special case price of just $12.99 per bottle, all orders for 12 or more bottles of this wine will also earn free shipping! It's the kind of wine so many of you will buy by the case and come running back for more, just based on the fact that it is absolutely perfect for the warmer weather! Please note, this is valid today only or while supplies last!